In the early 19th century, Thanksgiving was still an unofficial holiday in the US, and it was celebrated on different dates in different states. 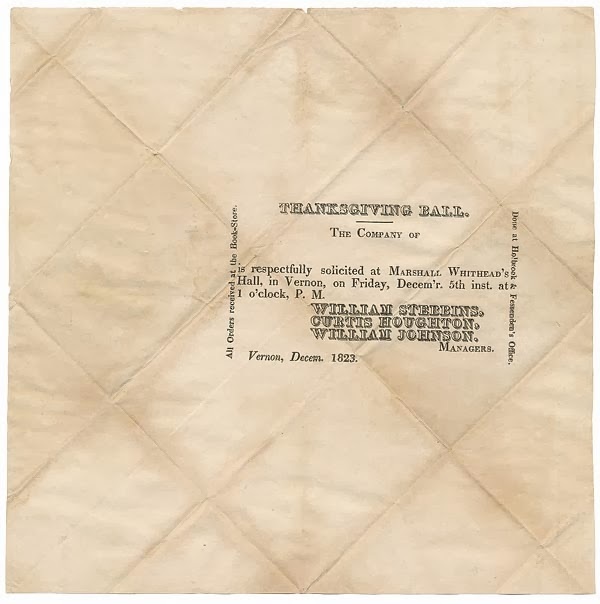 This unfolded sheet of paper printed with a modest invitation to attend a Thanksgiving Ball on Friday, December 5th, 1823 in the small town of Vernon, Vermont, is available from this eBay dealer. 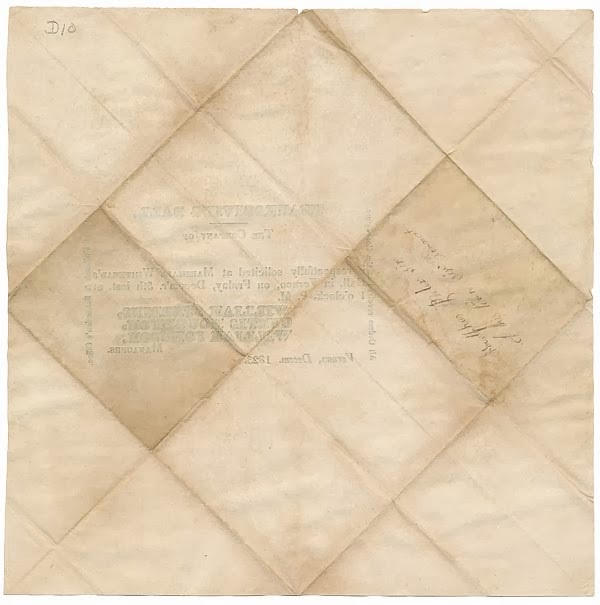 The single sheet was originally folded into a self-enclosed envelope and addressed on the opposite side. This was a common occurrence in that era. 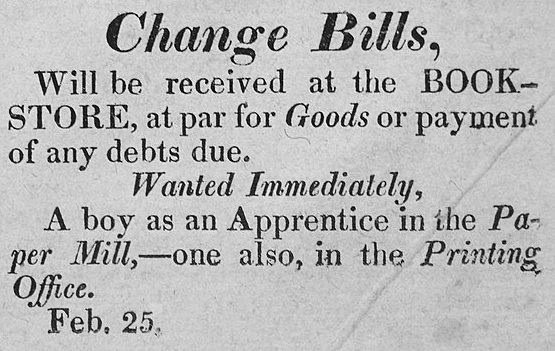 Part of what I love about old documents such as this, is connecting the dots of history. 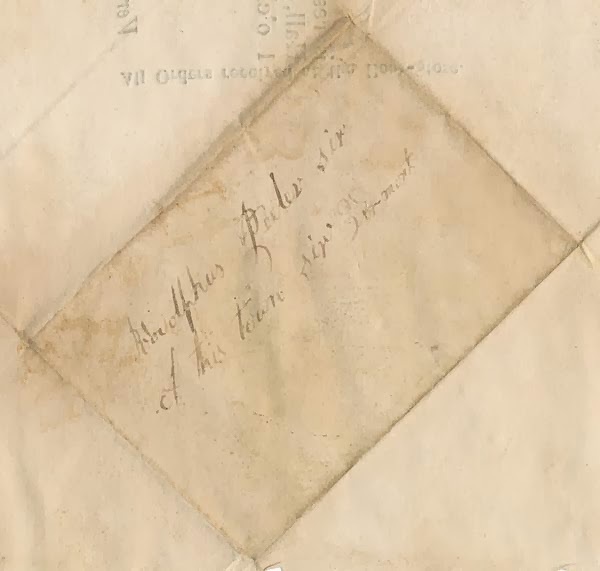 My research began with the name of "Holbrook & Fessenden", credited on the right side of this invitation. 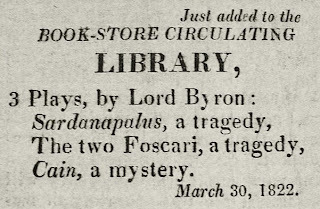 What unfolded was a story rich in printing history and book publishing in 19th century New England. 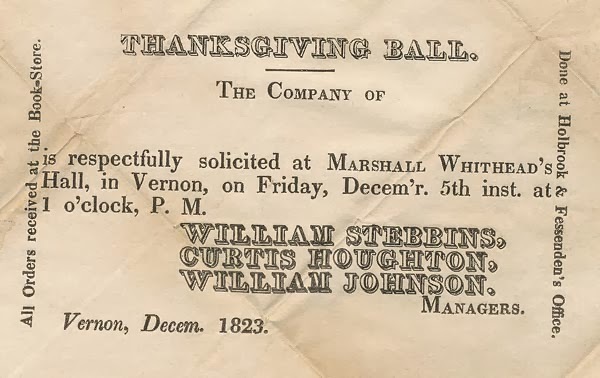 The Brattleboro History site, recalls Holbrook & Fessenden as founders of a large publishing house, bookstore, bindery and paper mill in Brattleboro, Vermont—just up river from Vernon, the site for this Thanksgiving Ball. 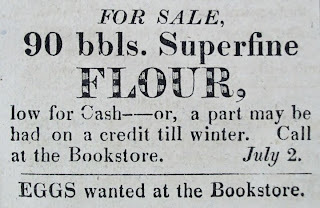 The Brattleboro Bookstore, as it was called, was founded by William Fessenden in 1810. Fessenden was a generous man and an enterprising character who was widely respected in Brattleboro. He was a journeyman printer when he established The Reporter newspaper in 1803. 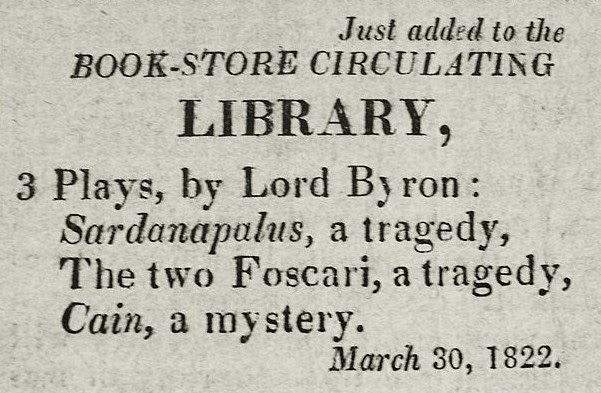 His interests were largely in the publication of books however, and he later left the newspaper in the care of capable hands, while he built the Brattleboro bookstore, paper mill and publishing enterprise. Fessendens' considerable achievements were short-lived however, when he died suddenly at the age of 36 of a probable heart failure. His death in 1815, was said to have caused such universal sorrow, the entire town suspended all business to attend his funeral. 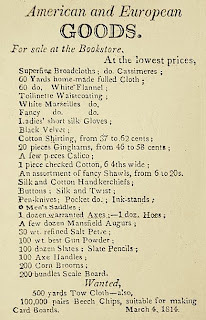 In 1816, his father-in-law, John Holbrook took over the management of the publishing and bookstore enterprise along with William's brother, Joseph Fessenden. 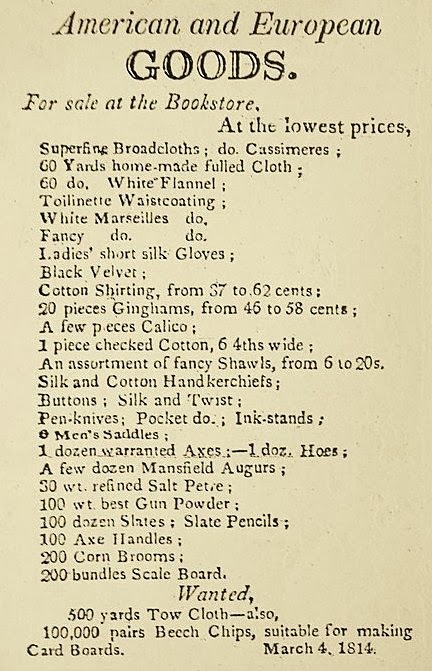 By this time, the store had taken on the character of a general mercantile with stationers' goods, shoes, textiles, school slates, paper hangings, gun powder, flour barrels, French crayons, and tack goods, amongst the thousands of books for sale. 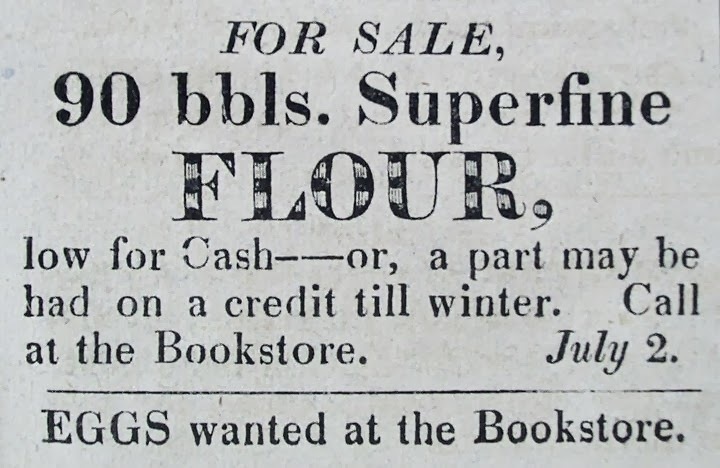 The bookstore soon became something of a town center for local patrons, and payment was often accepted in produce for goods and services. In 1821, the first lending library was established at the Brattleboro Bookstore by a small group of local citizens with 300-volumes to share amongst themselves. 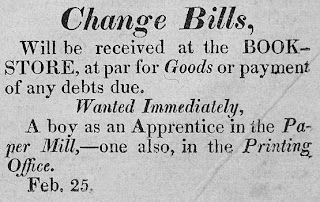 This service later became the Franklin Circulating Library, named after Ben Franklin, and was open to subscribers who could afford the $3.50 annual fee. I have never been to Brattleboro, Vermont, but with a town so rich in printing and book publishing history, I expect it would be nice to see some of the remaining old brick buildings, and imagine what it would be like to have attended the Thanksgiving Ball. It's wonderful that one piece of paper led you to unravel all this history. How about making this a regular feature on the blog? It also inspires me to do some detective work on labels attached to jewelry boxes my mother left me. A nice thought Claudia, but it is very time-consuming to chase these stories down. And they often lead to dead ends. I do enjoy it however, and will continue when the occasion merits. Good luck with your own sleuthing!